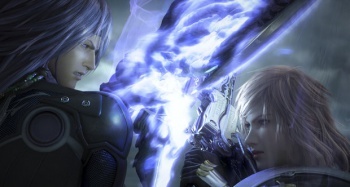 Take the 'Final Fantasy Character Hair' Quiz! How many of these characters can you identify... by their hairstyles? In honor of Final Fantasy XIII-2 hitting consoles this week, we've put together a quiz on a few of the dozens of Final Fantasy characters we've all come to grow to love (or hate) over the years. However, we're introducing a bit twist to this quiz instead of just asking you about your favorite Final Fantasy heroes and villains. You'll have to identify these characters by their hair. How many of these (sometimes ludicrous) locks of hair do you recognize?